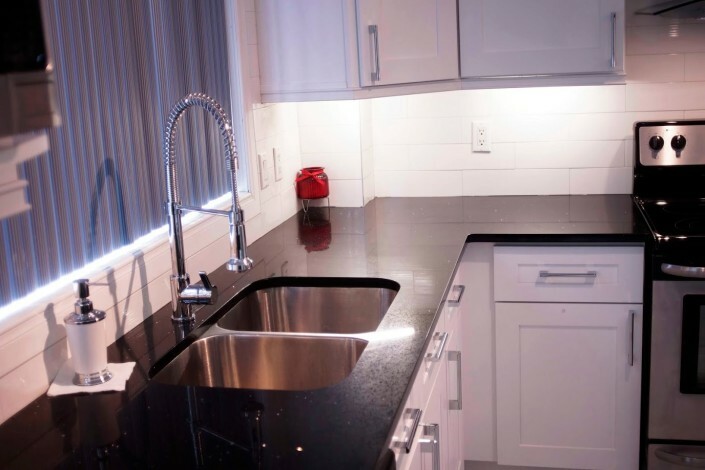 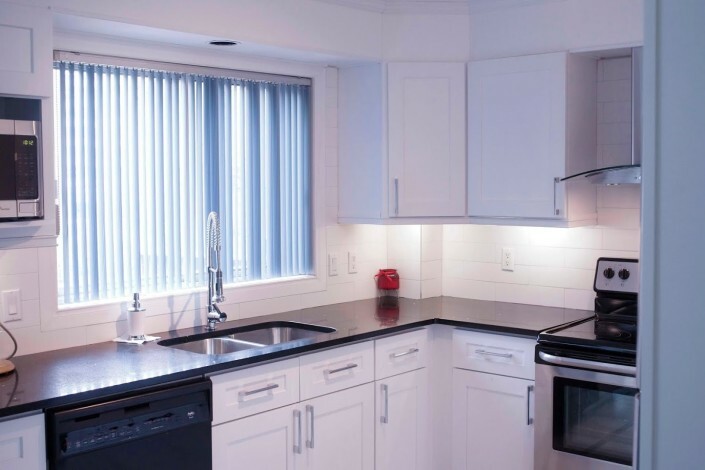 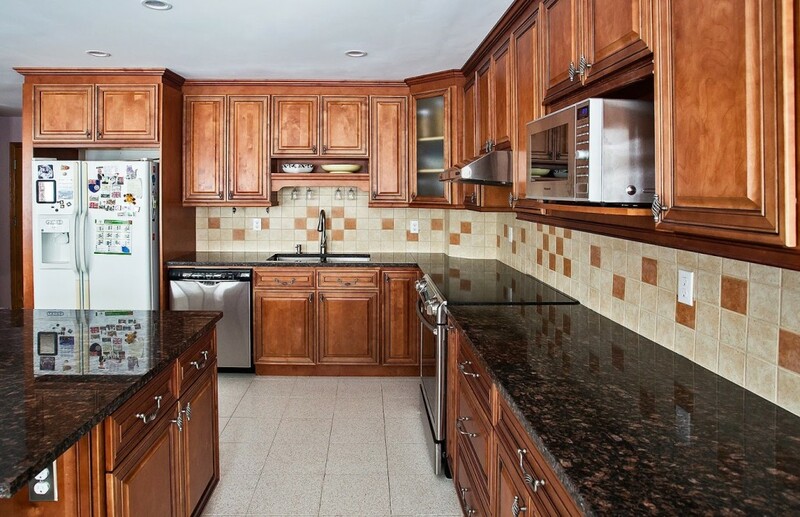 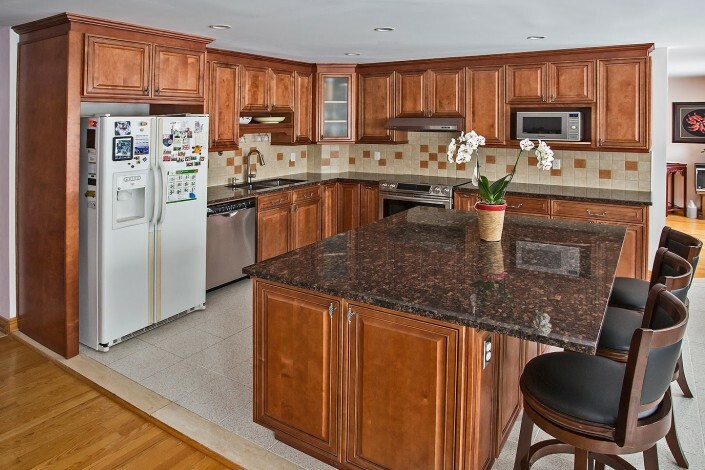 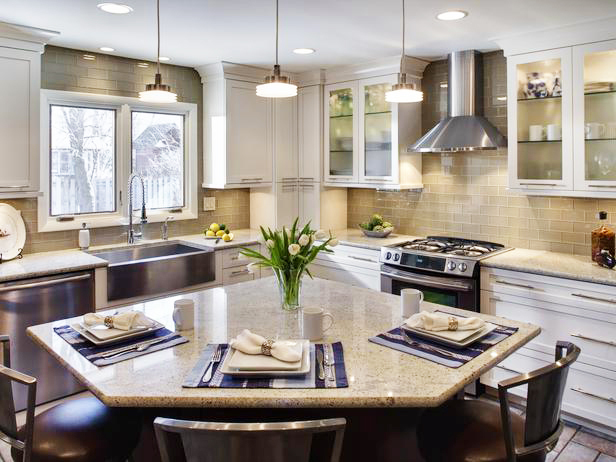 Kitchen Countertops | Montreal | KSI Kitchen Solutions. Visit our Showroom in Montreal and see all Kitchen Countertops Models available. 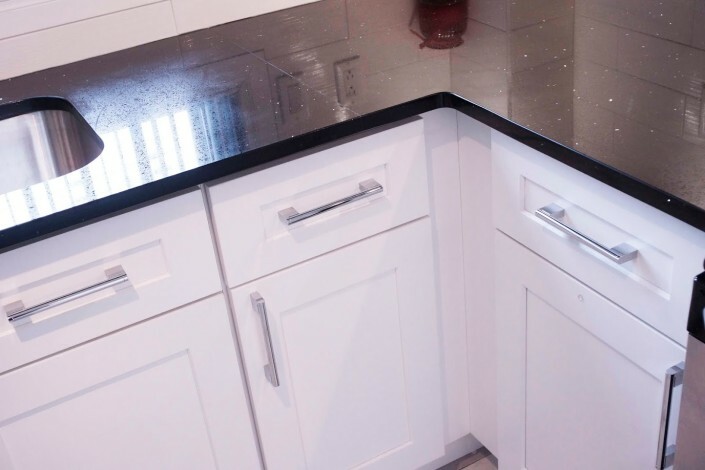 With its blend of 93% pure quartz crystal and advanced polymers, this durable and long-lasting solid surface is extremely resistant to scratches and stains and fulfills the goal of sustainable design. Its unique depth and the character of quartz crystals offer an exclusive aesthetic look and consistent colour pattern. 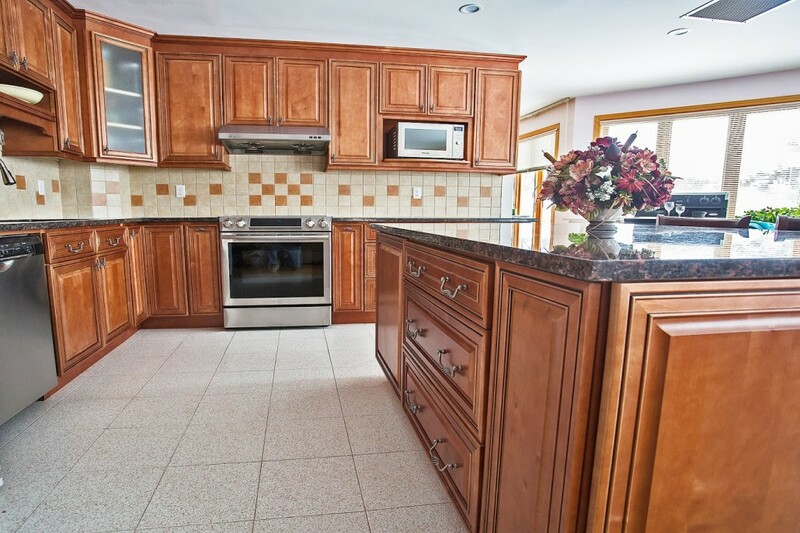 The combination of minerals and rocks provides a wide variety of colours and the irregular veining of granite produces a natural look that gives it unique character. 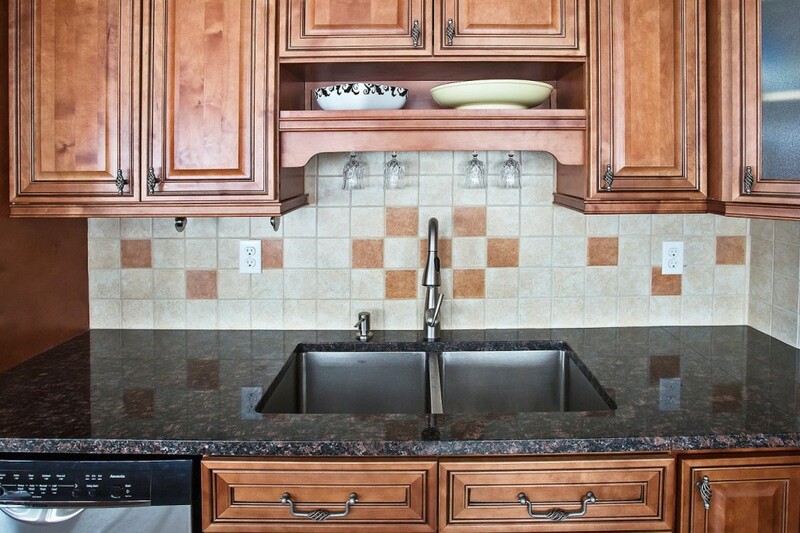 Granites vary widely in hardness, porosity, chemical resistance and strength due to an infinite combination of minerals. This surface must be sealed to avoid stains.